Its been two months since i found out i was pregnant. My bump had gotten two times bigger than it did last month. I was sitting in the car waiting for Brendon. We were going to the doctors to find out the gender. I was so excited. Soon Brendon gets in the car and we drive to the doctors. Once we get there we walk in and sign in. We sit in the waiting room and Brendon holds my hand. "I want a girl" He says. I smile. "Me two." I say and they call us back. They have me lay on the bed and they lift my shirt. The squirt cold gel on my belly and i wince slightly. Brendon kisses my hand and the doctor puts a remote on my belly and all of a sudden we hear a heart beat. Me and Brendon both smile. After a while the lady finally gets to tell the gender. "You guys ready?" She asks and we nod. "Your having...A girl!" She exclaims. 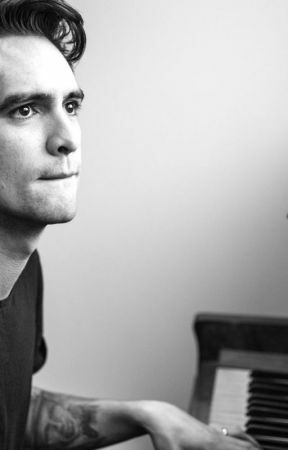 I look to brendon and see he has foggy eyes. I smile and he kisses my hand. The lady cleans up my belly and rolls my shirt down. She then walks out of the room to go develop the pictures and video she had taken. 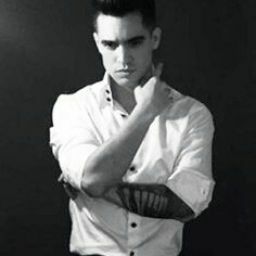 I sit up and Brendon Stands up and kisses me. "I love you" He says and i smile "I love you to" I say. After a while the lady walks in and hands us an envelope. We get ready and go home. Once we get there Brendon parks the car and we walk inside. All of a sudden we hear people shout &apos;Surprise&apos; and the lights flicker on. We see pink balloons and gifts, streamers and table cloths. I look around and see so many people. My mom and dad, Zoe, Pete, Joe, Andy, Patrick, Josh, Tyler, Dan, Kenny, Dallon and Aiden. &apos;Omg its Aiden&apos; I think as our eyes meet. We stare for a minute and then we run up and hug each other. I hold him tight and he holds me. i tear up a bit and we just hold each other as everyone smiles and cheers. I finally let go and he wipes my tears. "I thought i would never see you again" I Chuckle  and he nods. "I missed you" He says and looks to my stomach. "Have you guys been thinking of names?" Aiden asks. I shake my head no. "May i?" He asks letting his hand hover over my belly. I nod and he sets his hand on my stomach feeling the baby. Brendon walks up behind me and holds my lower back. "Im really happy for you two" He says and Brendon smiles. "Thank you" I say and give Reagan, who is standing next to me, a hug. I then go and give everyone else a hug. "How did you all know it was a girl" I asks and Zoe and Brendon chuckle. "Zoe here had messaged me and told me she wants to throw a surprise baby shower for us and she told me to text her the gender as soon as we found out so that she could get it set up quick enough." Brendon says and kisses my head.